The Rev. Mrs. Ella Doris Crist Malone, also known as Grandma and Grandmother passed away peacefully to meet her Lord and Savior. She was born in Garrison, TX to Chester and Ruth Crist. Doris was raised in Texas and New Mexico. After she met the love of her life, Rev. Nathan F. Malone, she spent her time working as a domestic engineer, which she raised three children. 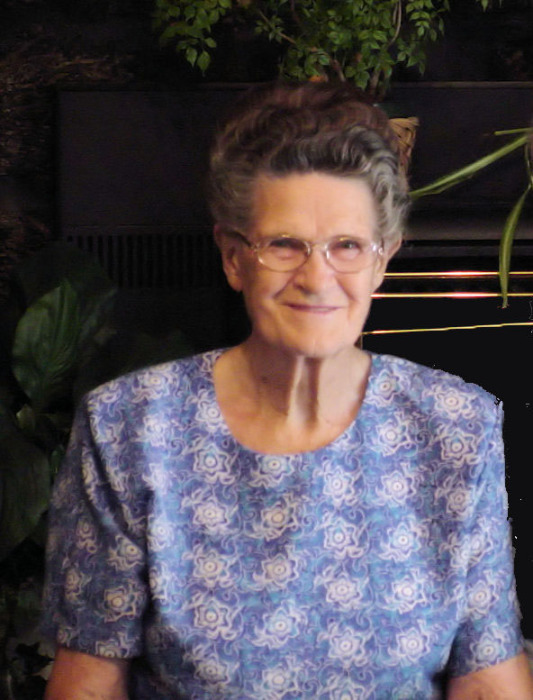 Aside from her family, she spent her time as a pastor's wife, and devoted countless hours working in Children's ministry, where she touched thousand's, and her work continued until the day she passed away. Once her children were grown and married, she began a new chapter, spending time with her grandchildren. After spending several years in Oklahoma, she and her husband moved to Farmington, NM. While in Farmington, she and her husband worked many years at the ABC Daycare Ranch, where she developed another name Grandmother. If you ever had the pleasure of meeting or spending time with her, you were blessed, and were truly in the presence of an Angel of God. She touched lives for the rest of her life. She is preceded in death by her parents; the love of her life, Nathan F. Malone; three sisters and one brother. She is survived by three children, Linda and Mike Jump of Oklahoma, Nathan E. and Kay Malone, and Carolyn and Mike Keaton, both of Farmington, NM; One sister, Minnie Lois Lambert of Clayton, NM; Ten grandchildren, and a multitude of great and great-great grandchildren. A Celebration of life will be held Friday, September 7, 2018 at 10:00 A.M. at Brewer, Lee and Larkin Funeral Home, 103 E. Ute St., Farmington, NM. Pastor Brent Hedin of Desert Heights Church will officiate. Burial to follow at Greenlawn Cemetery. Pallbearers are Doris's grandchildren. Honorary pallbearers will be all of her great and great-great grandchildren. Doris's care is entrusted to Brewer, Lee and Larkin Funeral Home, 103 E. Ute St., in Farmington, NM, (505)325-8688.